Whether you’re a seasoned bartender, or a newcomer looking to level up your knowledge, there’s always more to learn! A great way to find inspiration and keep up-to-date on trends, is by following the right social media accounts. With Instagram in particular, there’s a diverse and rich group of bartenders shaking things up. We’ve got 10 inspiring Instagram accounts that will supercharge your bartending journey. If beautiful, clean, minimalistic photos of amazingly crafted cocktails are your thing, then look no further. Matt Hollidge, better known as the amateur mixologist, crafts vibrant cocktails with colours that pop against the clean background he photographs against. He loves sharing his ideas and recipes as each cocktail he posts comes with detailed recipes and instructions. With close to two decades in the hospitality game, Steve the Bartender has a rich library of videos, photos and recipes sharing his incredible knowledge. Steve posts instructional videos showing step-by-step how to craft the classics, while also giving his followers a peek into the life of an award-winning mobile cocktail bar owner. Based out of Las Vegas, Daniel offers up recipes and beautiful shots of the cocktails he crafts, often with his own flair or twist. We particularly love his take on the Last Word, which really kicks the cocktail up a notch. Why not try it out and see what we mean? Showcasing her incredible skill and focus, Bartender Yang regularly posts the beautiful cocktails that she creates. Whether its flair bartender, shaking up cocktails or juggling champagne bottles with sparklers attached (we’re not joking), you can always see the genuine fun that she has in her role as a bartender. Exploring classic cocktails and techniques, the Weekend Mixologist posts incredible photography that wouldn’t look out of place in a well-crafted cocktail book. With his finishing touches and eye for detail, he shows how beautiful cocktails can truly be. European Bartending School Instructor Raul Guzman showcases his life as an instructor and lover of cocktails. His account shows that being a bartender doesn’t limit you to staying behind the bar, you can travel the world and share your knowledge anywhere! Lupu travels the world showcasing his amazing flair bartending skills. His account offers a window into his life, often posting from locations that his skills have taken him. Elana’s Instagram goes beyond the recipes and offers a thoughtful insight into the mind of a bartender. She often creates cocktails based on the seasonality or time of year. With cocktails that looks more like pieces of art, Melisa creates drinks that you’ve likely never seen anywhere else. Every post is detailed with the ingredients used so you can follow along yourself! A mix of cocktails, food and family, David’s minimalistic feed offers up some truly inspiring shots. He shows the elegance and sophisticated side that cocktails can have. From humble beginnings to mesmerising finales, these are cocktails you’ll want to try for yourself. 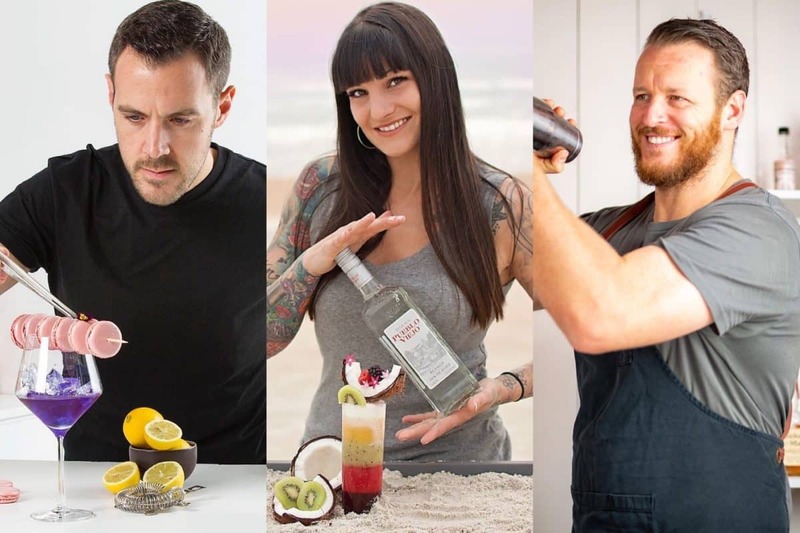 We hope that these incredible bartenders’ feeds shake up your motivation and inspire you to become an even better bartender! Don’t forget to check out our Instagram too and tag us in your next cocktail creation. We’d love to see some of your amazing drinks! Be sure to check out our latest blog too, where we explored how microlearning could help supercharge your hospitality training.